Chiropractic is a drugless, non-surgical approach to healthcare that is holistic in nature. This means that rather than thinking of you as a group of distinct systems (respiratory, cardiovascular, digestive, etc. 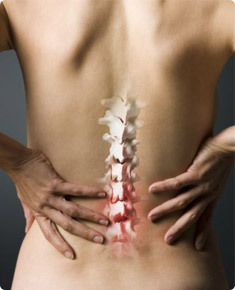 ), chiropractors recognize that any part of your body is subject to influence from other areas. This is how a foot problem can cause knee or low back pain, or a neck issue may influence digestion. In viewing the body this way, we can often find problems that have been previously overlooked. While a number of misunderstandings regarding chiropractic care still exist, responsible physicians and educators now recognize that chiropractic stands on solid scientific ground and provides a unique service that you cannot get elsewhere. Today's chiropractor stands alongside traditional medical providers and often co-manages patient care, referring to and from specialists as needed, while offering an exclusive component of healthcare. Chiropractic is now accepted by nearly all insurance plans including Medicare, Medicaid and Workman's Comp. Chiropractors are also working on military posts as well as major VA facilities and many large hospitals and medical clinics. This is because chiropractic is proving to be a safe and cost effective form of healthcare. Most major sports teams and athletes also use chiropractic to stay healthy and achieve greater feats. So what do chiropractors do? 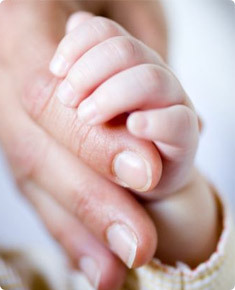 The primary tool of the doctor of chiropractic is the chiropractic adjustment. The adjustment is a gentle force, specifically applied to one of the joints in the body which is subluxated. A subluxation is a condition where the normal position or movement capability of a joint has been lost. When this happens, there is an effect on your nerves, both at that site and wherever the nerve ultimately ends (think of sciatica, which is pain down the leg from an irritated nerve in the spine or pelvis). There is also an effect on the health of the joint, through a process called immobilization degeneration. This process leads to swollen or inflamed discs, arthritis or spurs, stiffness, muscle spasm, and other degenerative processes. The skillfully applied chiropractic adjustment is intended to restore the normal alignment or movement of that joint, and in so doing prevent degenerative changes to the joint while positively influencing other aspects of the body. In randomized controlled trials, chiropractic care has been shown to lower blood pressure, speed ulcer healing, improve the function of the immune system and numerous other bodily functions, as well as be the treatment of choice for low back and neck pain and headaches. While not everyone will choose to use chiropractic in a preventative manner, we feel that as the science continues to prove its validity and the cost and dangers of reactive health care sky-rocket, it is more representative of the future rather than the past. We see patients from only a few days old to those well into their upper 90s, and offer care whether they seek symptomatic relief or are looking for wellness care.